﻿ M&S Shoot | not tom. 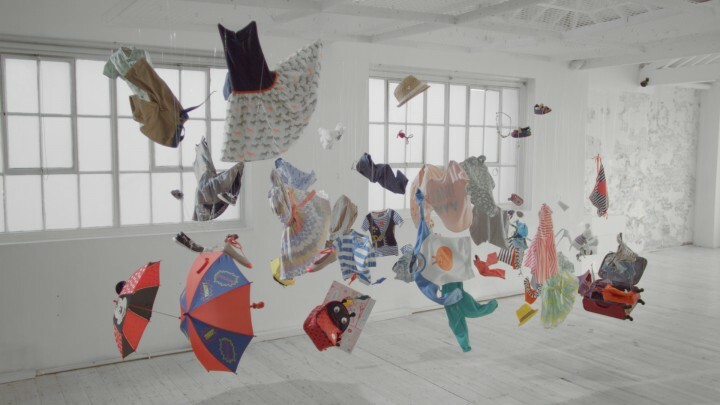 We provided art direction, design and full production, including prop making, rigging and dressing for this M&S shoot for ad agency Adjust Your Set. Each set involved carefully stringing up 50-60 products into a complex installation to be shot over the course of a day. 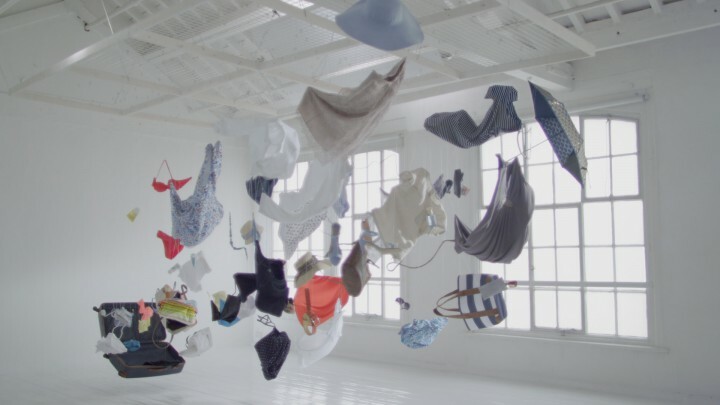 Our client wanted each of the 3 films, for men’s, women’s and children’s collections, to show trails of clothing and products flying from suitcases in the style of an art installation, as though the items were suspended in time. Our team of experienced prop makers and dressers hand-made individual wire armatures for many of the items to give the appearance of frozen movement. Each item was then numbered and carefully packed ready for transportation to set. On set our qualified riggers hung bespoke-made metal grids and our dressers worked their magic, transforming a pile of numbered products and miles of fishing wire into beautiful displays. Our team was on standby throughout filming to react to the continually changing demands of a high pressure advertising shoot.